 The Austin City Council approved the Energy Conservation Audit and Disclosure ordinance in 2008 and revised the initiative in April 2011 to improve the energy efficiency of homes and buildings that receive electricity from Austin Energy. Single-family homeowners must have energy audits performed on their properties prior to a sale of their home. Multifamily properties older than 10 years are required to perform an audit and report the results to the City of Austin and all residents living in those communities. Commercial building owners participated in a phased-in reporting since 2012, for buildings 75,000 square feet and larger.